EDITOR’S NOTE: Updated Aug. 3 with confirmation the Merah Putih mission will use a previously-flown Falcon 9 booster. Gearing up for the third Falcon 9 launch in less than two-and-a-half weeks, SpaceX fired up a rocket booster at Cape Canaveral on Thursday ahead of an early morning launch Tuesday with an Indonesian communications satellite. Nine first stage engines on the Falcon 9 rocket ignited around 12:45 p.m. EDT (1645 GMT) Thursday at Cape Canaveral’s Complex 40 launch pad, firing for several seconds before a shutdown command. 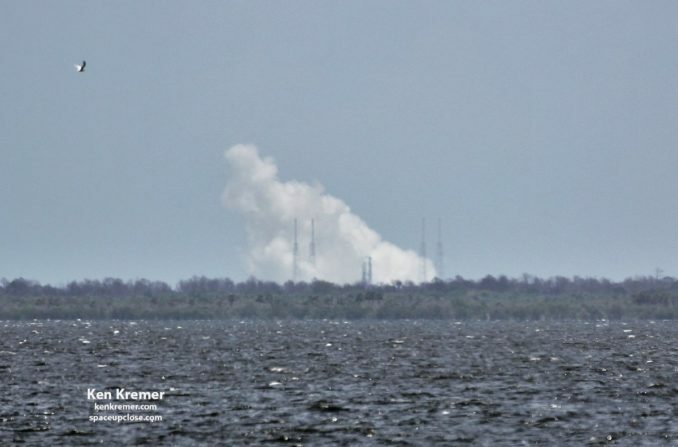 SpaceX confirmed the static fire test in a tweet later Thursday afternoon. 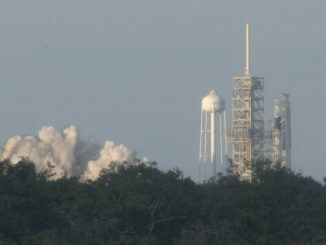 The static fire test is a routine step in SpaceX’s launch campaigns, during which the company’s launch team oversees the loading of kerosene and liquid oxygen propellants into the Falcon 9 rocket before a brief hold-down engine firing. The test serves as a checkout of the launch vehicle and ground systems, and an exercise for the SpaceX launch team. Ground crews will lower the Falcon 9 rocket and return it to a nearby hangar for attachment of the Merah Putih spacecraft this weekend. 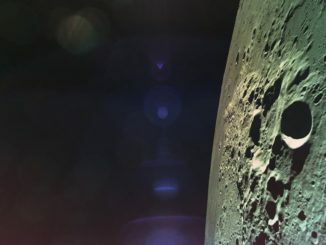 The launcher will roll back to the pad in advance of a two-hour launch window opening at 1:18 a.m. EDT (0518 GMT) Tuesday. 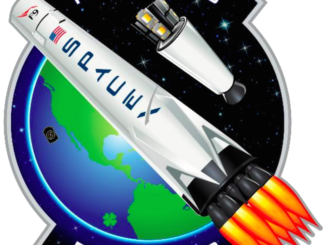 If the flight takes off on time, SpaceX’s next launch will mark the third Falcon 9 flight in 16 days, one of the busiest periods of launch activity in the company’s history. It will be the 15th launch by SpaceX so far this year. Photos of the Falcon 9 launcher at Complex 40 taken Thursday showed soot markings suggesting the first stage was flown on a previous mission, likely in May on the launch of the Bangabandhu 1 communications satellite. That mission marked the inaugural flight of SpaceX’s upgraded Falcon 9 Block 5 vehicle, sporting improvements to make the first stage easier to recover and reuse. SpaceX confirmed Friday the first stage set to launch on the Merah Putih mission was first flown on the Bangabandhu satellite launch May 11. It will be the first time SpaceX has reused a Block 5 firsts take booster. The Merah Putih satellite, formerly known as Telkom 4, will provide C-band telecommunications services over Indonesia and India. The new telecom craft was built by SSL in Palo Alto, California. Officials renamed the satellite Merah Putih to represent the red and white of the Indonesian flag, according to SSL. Merah Putih carries 60 C-band transponders with coverage across the Indonesian archipelago, and other parts of South and Southeast Asia. The satellite will provide Internet, telephone and cellular backhaul services, according to SSL. The launch will also keep intact a summertime streak of middle-of-the-night and early morning launches from Cape Canaveral. The last three Falcon 9 missions from Florida’s Space Coast since early June have launched in the wee hours, and two more liftoffs are scheduled to occur in the middle of the night or predawn hours later this month. A United Launch Alliance Delta 4-Heavy rocket is scheduled for liftoff Aug. 11 with NASA’s Parker Solar Probe in a launch window opening around 3:48 a.m. EDT (0748 GMT). 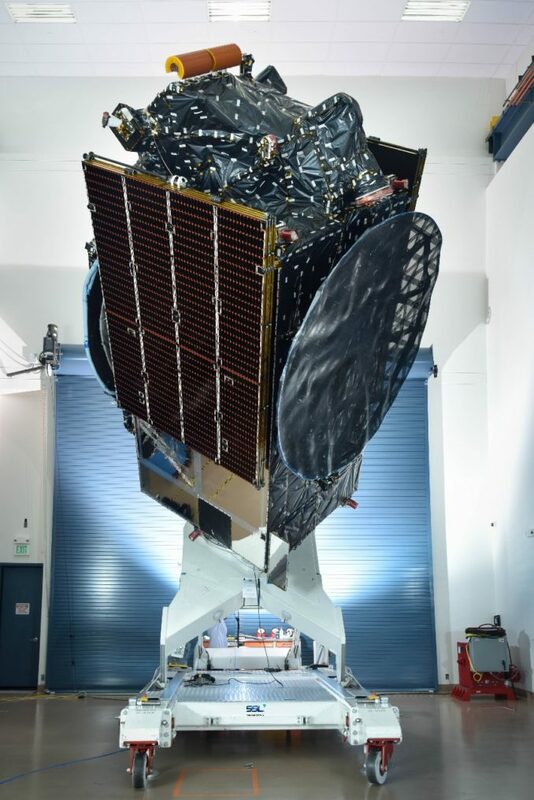 The next Falcon 9 launch after the Merah Putih mission is set for launch no earlier than Aug. 23, six days later than previously planned, with the Telstar 18 VANTAGE communications satellite, according Gerald Nagler, a Telesat spokesperson. The launch window for the Telstar 18 VANTAGE mission Aug. 23 opens at approximately 11:35 p.m. EDT (0335 GMT on Aug. 24).